Rediff.com » Cricket » 'Have you been able to wipe off terrorism by not playing cricket with Pak'? 'Have you been able to wipe off terrorism by not playing cricket with Pak'? 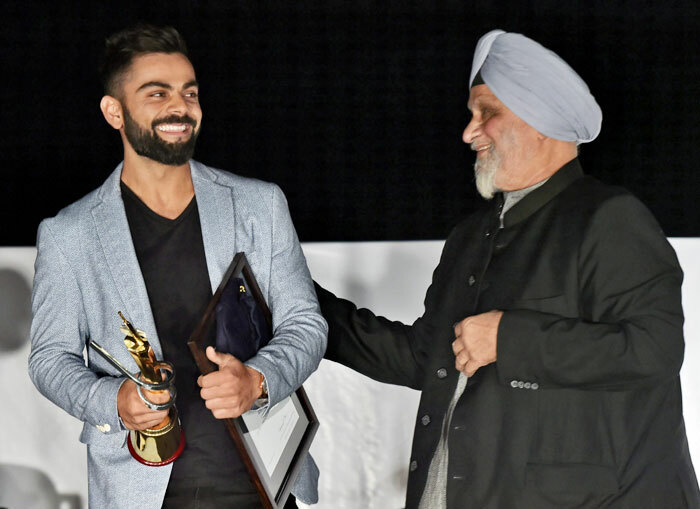 Former India captain Bishan Singh Bedi feels that one should not "narrow down the meaning of patriotism" by politicising bilateral cricketing relationship with Pakistan. The Indian government has not given an go-ahead to Indo-Pak bilateral series since the last one (a short limited overs series) was held in India in 2012. Since then, India has played against Pakistan only in ICC events. "Why politicise cricket? Have you been able to wipe off terrorism by not playing cricket? Cricket is a platform to come closer," Bedi, whose penchant for plain speaking is legendary, told PTI during an interaction on the sidelines of an annual DDCA Conclave. Asked if patriotism in the current social scenario is intrinsically linked to being anti-Pakistan, Bedi, said: "This is not right. I am not talking anti-India if I am asking for a cricket series with Pakistan. Let's not narrow down the meaning of patriotism." One of the staunchest critics of BCCI, Bedi wants the word 'control' be removed from 'Board of Control for Cricket in India' as it "stinks" of autocratic, dictatorial mindset. "The national logo (India flag) has to be worn by the Indian team and not the BCCI logo. I am very clear in my mind. The players are not playing for BCCI but are playing for India. New Zealand and Australia have national emblems. England has national emblem. Even Pakistan and Bangladesh wear national emblems." "Let me be very clear. Indian Cricket Board (ICB) or Cricket India should be the name," said the 71-year-old. Bedi also questioned the context of a series like the one India is currently playing against Sri Lanka, which is turning out to be a virtual no contest. "What are we gaining out of these Sri Lanka series? We are just playing them time and again. We thrashed them in their backyard and now we are thrashing them here also. At least let's have some contest. There is no context," Bedi, who has 266 wickets in 67 Tests, said, sounding genuinely irritated. "Had this Sri Lanka tour not happened, the boys would have played Ranji Trophy. May be had a camp also for preparation before going to South Africa. That's the camp Virat was referring to (during the pre-match conference before the second Test in Nagpur)."